All season long, we camped, backpacked, paddle boarded, and hiked our way through the Pacific Northwest to find the best new outdoor gear for the first annual Digital Trends Outdoor Awards. After pushing each contender to the limit, we crowned our favorite products for Cooking, Sleeping, Trekking, Recreation, Unwinding, and a special award for Innovation. And we’re giving away one of every winning product, so enter our contest! When you’re hungry at the end of a long day’s hike, a bag of pulverized Chex mix isn’t going to cut it. You want hot food. Fire and cast iron may be the old-school go-to, but a good camp stove delivers meals quicker, cleaner, and more efficiently. Thankfully, tech and innovation have transformed this space in remarkable ways. Forget that old Coleman, in other words: Companies like BioLite and Traeger make cooking gear designed to satiate today’s chef. After working up an appetite on the trail, we put stoves from these companies to the test for our daily meals. We experimented with a range of cuisines and cooking habits, yet one stove kept us coming back for more: BioLite’s CampStove 2 Bundle. 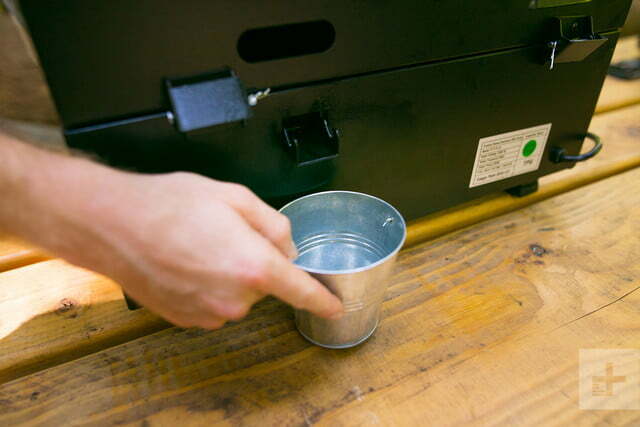 Every camp stove makes heat. 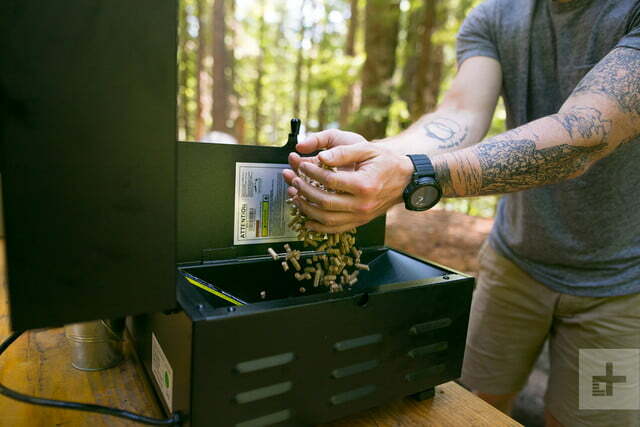 BioLite’s CampStove 2 also makes electricity for your gadgets, and it does it with free fuel available all around you. Just fill it with twigs, light it up, and an integrated USB port will start to juice up your dying phone. Unlike the original BioLite CampStove, the new CampStove 2 has an onboard battery, delivers 50 percent more electricity, and has a smart LED dashboard. While cooking, this display gives users a quick view of how strong the fire is, the speed setting of an internal fan that stokes the flame, and how much power output is currently available. This last bit is especially useful as it provides quick feedback on whether the USB out port is capable of charging a device. Sure, camping means you should unplug, but when your phone is also your GPS, camera, emergency beacon, and survival manual, there are plenty of legitimate reasons to keep it charged. The Tech: BioLite’s patented core technology converts wasted heat into usable electricity with an integrated thermoelectric generator that delivered up to 3 watts of power in testing — enough to charge a phone. In case you don’t need watts with your dinner, the stove also stores any unused power in its onboard 2,600 mAh battery, allowing for additional charging once the fire dies. That’s just a little less juice than you would find in a fully charged iPhone 7 Plus. Tech-centric features aside, the stove cooks admirably — once you get it going, that is. The CampStove 2 takes some patience to ignite without firelighter tabs — it’s not quite as quick as flicking a Bic to start a gas stove. Sticks and twigs extend the cook time by a handful of minutes, so you’ll need to be prepared to feed it, too. It’s a minor nitpick, but worth noting if someone wants to cook a meal in just a matter of minutes. Capable of packing down relatively lean, it wouldn’t be out of the question for a courageous backpacker to take this on a week-long trip. For the most part, the CampStove 2 functions better as a car-camping stove, and its rugged construction means it would take some serious damage to render the thing unusable. At $200 for the entire bundle, which includes a stuff sack, a USB cord, the CampStove 2, a BioLite KettlePot, and a portable grill top, it’s also a reasonably cost-effective cooking option. Our favorite camp stove we used this summer, BioLite’s CampStove 2 is a worthwhile addition to any camper’s lot of gear. It’s a behemoth in the grilling space, but Traeger isn’t necessarily synonymous with portability, let alone camping. With one of its newest grills, the PTG+ or Portable Tabletop Grill, the Salt Lake City-based company hopes to change that tune — even if it means venturing into a space typically referred to as glamping. 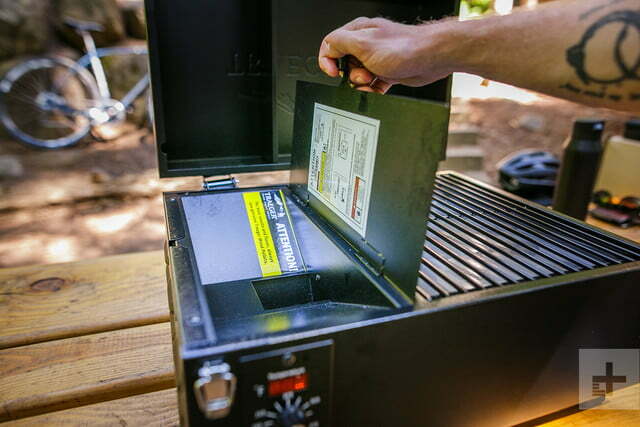 We say this because while Traeger designed the grill to be much more portable than its traditional (read: larger) chip-fueled grills, it still requires a power source for operation. 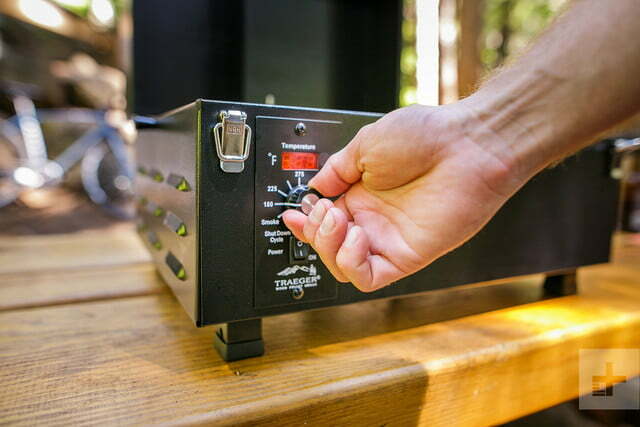 If you have power though — and many upscale camping sites do — the PTG+ can prepare some truly delicious camping fare. With a massive built-in hopper of pellet fuel designed to keep the fire smoking for hours, the PTG+ is almost “set it and forget it” easy. 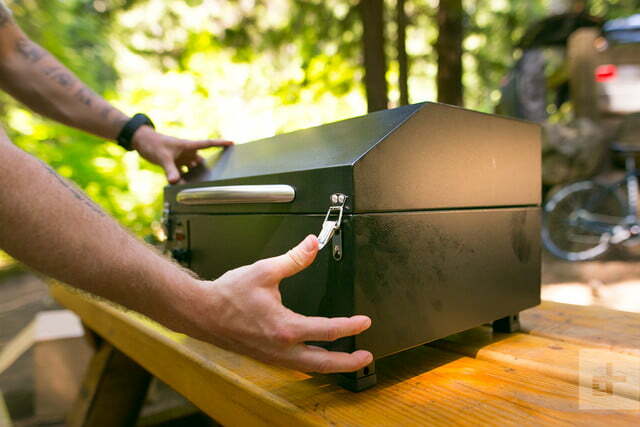 Inside, an induction fan keeps smoke circulating to provide even heat and flavor distribution for your ribs, brisket, or whatever food you want to infuse with the taste of the outdoors. The grill requires 300 watts for the first four minutes it’s powered on, then 50 watts throughout the cook. That doesn’t solve the problem of requiring electricity at all, but smaller power banks would have the ability to power this for a cook or two. It’s perfect for the serious car-camping griller, but its reliance on electricity holds it back from being a true camping staple. 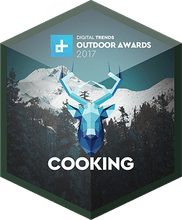 Make sure to check out all the winning products for Cooking, Sleeping, Trekking, Recreation, Unwinding, and a special award for Innovation. And we’re giving away one of every winning product, so enter our contest!